Spring brings many things, including Home Depot’s “high season: featuring extensive regional promotions such as doorbusters and special pricing on lawn and garden, grills and patio furniture. 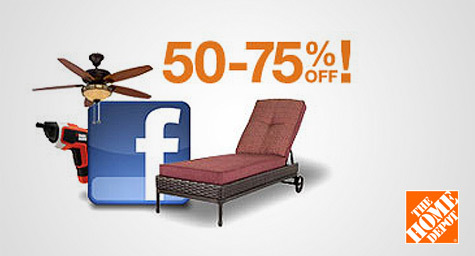 The chain will also post Black Friday-type deals on Facebook every Friday through the end of May with exclusive discounts of up to 75% off. MediaPost.com reports that the retailer is bringing this promotion back after last spring’s great success, but is now expanding it to include 60,000 seasonal associates trained for four different weekend events, based on market and climate. DIY chains like Home Depot, Sears and Lowe’s are optimistic about this year’s springtime market, despite the latest National Gardening Association survey that found while participation in lawn and garden activities increased by 2% last year, spending dropped 18%. In addition, retail lawn and garden sales decreased 16% to the lowest level in over a decade. Food gardening was the only growth segment, up 21%, and climbing. The positive side of the study was that declines in gardening spending were less than those in other categories, and enthusiasm for gardening remains. This DIY mentality is good for chains, but bad for residential lawn and landscape services who suffered a 44% decline in the amount consumers spent to hire landscaping professionals from 2006 to 2009. Still, Home Depot’s spring advertising promotion will be warmly welcomed by the majority of consumers in the survey who say they plan to spend at least as much on their yard as last year, with the exception of the lawn and landscape area. In fact, consumers plan to spend more toward food and flower gardening, which the chains hope will keep sales in full bloom.